Thomas Crow's paradigm-changing book challenges existing narratives about the rise of Pop Art by situating it within larger cultural tides. While American Pop was indebted to its British predecessor's insistence that any creative pursuit is worthy of aesthetic consideration, Crow demonstrates that this inclusive attitude also had strong American roots. Folk becomes Crow's starting point in the advance of Pop. The folk revival occurred chiefly in the sphere of music during the 1930s and '40s, while folk art surfaced a decade later in the work of Jasper Johns and Robert Rauschenberg. Crow eloquently examines the subsequent explosion of commercial imagery in visual art, alongside its repercussions in popular music and graphic design. Pop's practitioners become defined as artists whose distillation of the vernacular is able to capture the feelings stirring among a broad public, beginning with young participants in the politicized 1960s counterculture. 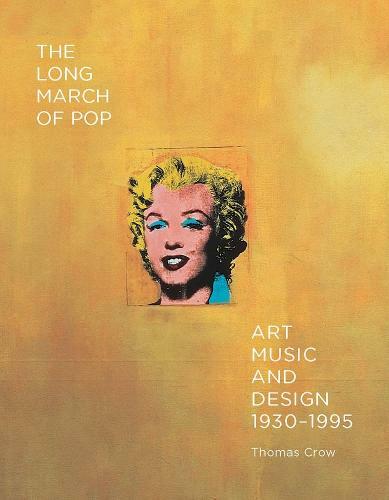 Woody Guthrie and Roy Lichtenstein, Andy Warhol and Bob Dylan, Ed Ruscha and the Byrds, Pauline Boty and the Beatles, the Who and Damien Hirst are all considered together with key graphic designers such as Milton Glaser and Rick Griffin in this engaging book. `...you won't see Pop the same way after The Long March of Pop. As seen here it's murkier, richer, more ragged, and evidently the art that a nation congenitally suspicious of the highfalutin was destined to create. '-Martin Herbert, Art Review.